Lovely Dogon clay whorl bead necklace, inscribed worn beads that sit beautifully together. A lovely Dogon clay whorl bead necklace. Being made up of multiple various sized beads fashioned from clay giving a variation in colour and shape. Some beads having patterns inscribed on them adding to the wonderful way these worn whorls sit together forming the heavy string of beads that make up this charming piece of Dogon jewellery. Spindle whorls although they are often and do present in a string suggesting a necklace, a piece of jewellery perhaps were never intended to be such an item, in fact, these wonderful often made of stone, clay and even bone bead shaped items would have been used for a very different purpose. More commonly recognised as an aid for weaving spindle whorls were used for balancing the spindle as the yarn was being spun. A spindle whorl is a disc or spherical object fitted onto the spindle to increase and maintain the speed of the spin. Some of them were plain while others had very intricate designs. The old clay whorls from Africa were often covered with many incised lines. Although spindle whorls have a perfect perforation for stinging this was not their original intent. Perhaps they could have been strung on a cord for transport but they were typically not worn as jewellery. These are beautiful handmade objects and look lovely worked into both bold and delicate necklaces. 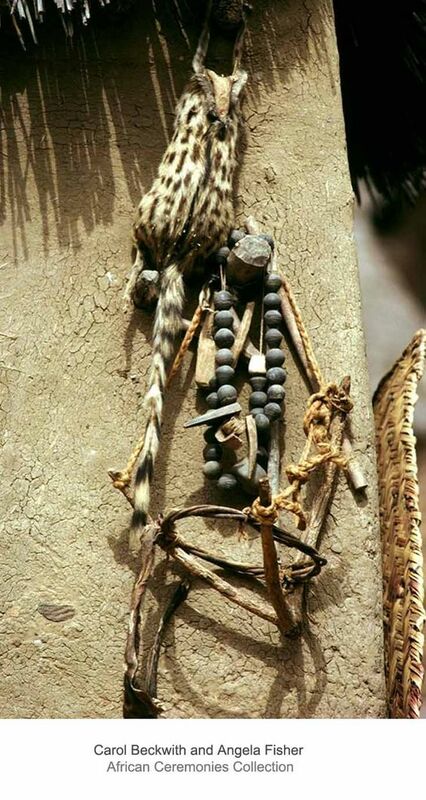 It is not too uncommon to see strings of spindle whorl beads hanging outside the home of the Hogon (Dogon priest).